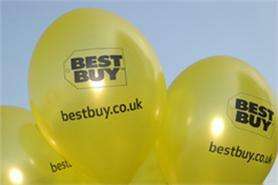 Best Buy Europe has promoted Sarah Green to the role of head of employee engagement and communications. Green replaces Tom Everett, who has left the company - a joint venture between US retail group Best Buy and UK mobile retailer Carphone Warehouse - to work for Apple. Green was formerly employee engagement business partner. Her new remit will include working with head of events Charlotte Groom to organise events including the company's annual conference for around 2,500 delegates.